Of course, when it comes to navigation, the road taken usually does matter – as it does in women’s enterprise development. That’s why the focus of this Womenable WED Brief is on roadmaps for women’s entrepreneurship. The occasion is the recent release of a report, A Roadmap for Promoting Women’s Economic Empowerment, from the United Nations Foundation and ExxonMobil. While the report has a development focus and some specific areas of emphasis (farming and youth), it does contain some good recommendations for women’s entrepreneurship writ large, such as the fact that access to capital alone will not advance the growth of women-owned firms, and that access to education alone (especially of the “primary level” variety) will likewise not lead to an increase in the number of women-owned wealth- and job-creating firms. Check out the report and other related information (such as some interesting videos) at womeneconroadmap.org. As valuable as this roadmap report is, there are three other roadmaps for women’s enterprise development of note: the US-focused 2010 report from Quantum Leaps: A Roadmap to 2020: Fueling the Growth of Women’s Enterprise Development; the 2003 Canadian Prime Minister’s Task Force Report on Women Entrepreneurs; and the 2003 UK government’s Strategic Framework for Women’s Enterprise. All are available for your reference at Womenable’s Virtual Reference Shelf. WOSBs Getting Their Contracting Groove On? How are women business owners doing in the federal procurement marketplace? According to a new report, authored by Womenable for the American Express OPEN for Government Contracts program, the answer is “increasingly well.” Even though, on average, women business owners who are active federal contractors have been seeking contracts for less time than their male counterparts, they are every bit as successful in terms of overall revenue and employment, and are rapidly catching up in terms of federal contract award value. One reason for their growing success may be the increased traction of the Women-Owned Small Business (WOSB) Procurement Program, established in 2011. Two years ago, just over one-third (37%) of women business owners who had self-certified as a woman-owned small business (WOSB) found that designation to be useful in seeking contracting opportunities. Now, a 67% majority of WOSBs find the designation useful, including 28% who find it very or extremely useful. On average, it takes a small business new to the federal procurement marketplace about two years (24 months) and 4.7 unsuccessful bids before winning that all-important first contract. It took women business owners less time and effort (20 months and 4.3 unsuccessful bids) to land their first contract compared to their male counterparts (25 months and 5.0 unsuccessful bids). 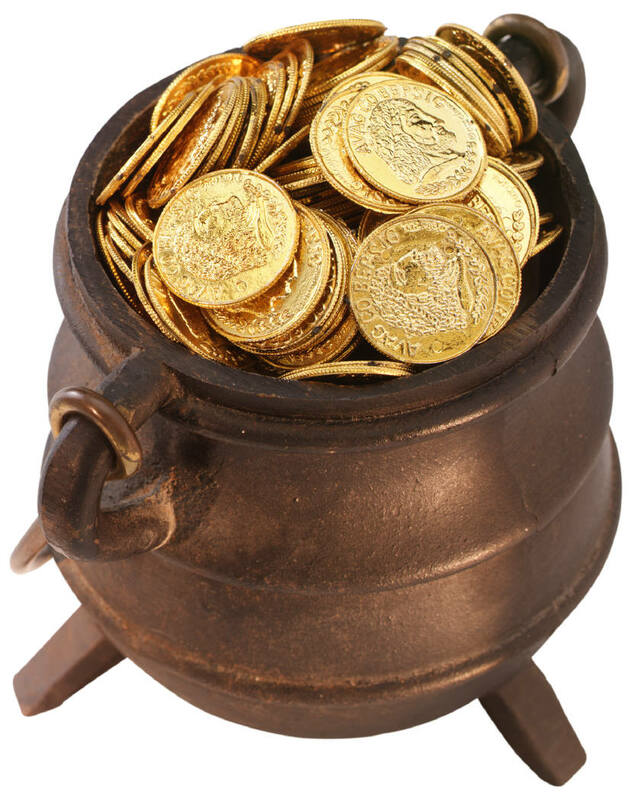 So, while selling goods and services to federal agencies may not be the “pot of gold at the end of the rainbow,” for many small businesses – including an increasing number owned by women – federal procurement is an important avenue to business growth. You may download and read the report, “Women-Owned Small Businesses in Federal Procurement: Building Momentum, Reaping Rewards,” at the highlighted link. This report is the second in a series of four reports. The first, “Trends in Federal Contracting for Small Businesses,” may also be downloaded and read. The other two reports, the next focused on trends in federal contracting among minority business owners and the final, taking a look at how small business owners are utilizing subcontracting and teaming to achieve procurement success, are forthcoming. October 25th, 2013 marks the 25th anniversary of the Women’s Business Ownership Act of 1988 in the United States – which is frequently referred to as the “big bang” of women’s enterprise. The law extended equal access to business credit to women business owners, directed the US Census Bureau to include all women-owned firms in its business census, established the women’s business center technical assistance program, and established the National Women’s Business Council – giving women business owners a seat at the federal policymaking table. 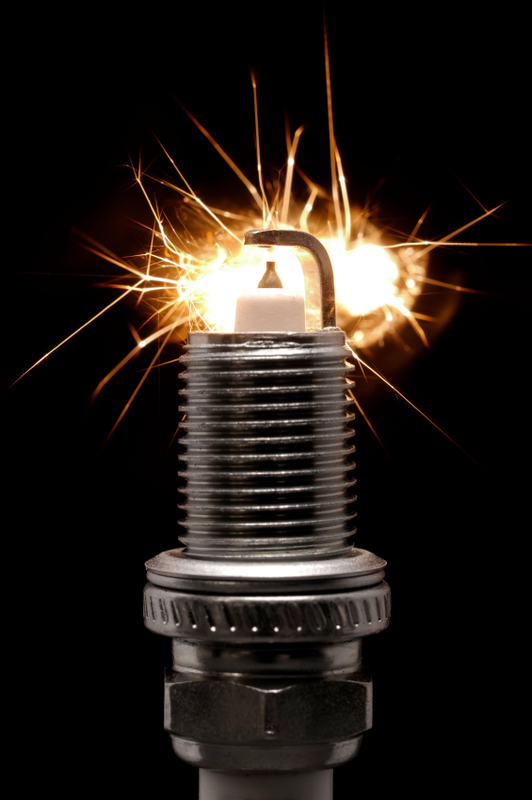 What other spark plugs for women’s enterprise are out there? My fellow womenablers might want to check out the former Gender Law Library at the World Bank, now part of the Women, Business and the Law website. You can search by country or topic, and you may also wish to download the new 2014 Women, Business and the Law report. Regional fact sheets are also available. Women’s enterprise development does not always have to be sparked by legislative action. In May 2003, a Strategic Framework for Women’s Enterprise was launched by the Labour government in the United Kingdom, which led to a number of positive programs for women’s enterprise development. Unfortunately, a party-launched initiative can fall by the wayside when leadership changes hands – as happened in the UK in 2010, when Conservative David Cameron became Prime Minister and promptly cut funding for women’s entrepreneurship, and indeed for small business development support in general. This happened as well in Canada, not too long after their Prime Minister’s Task Force on Women Entrepreneurs – Report and Recommendations was unveiled with great promise but unfulfilled potential. The report was launched in October 2003 – just two months before Prime Minister Jean Chretien left office. Even though his successor was of the same party, the initiative did not gain traction. As women entrepreneurs grow their enterprises, research has shown that they are less likely to seek and obtain equity investments, either from angel or venture capital investors. Some say women are less growth-oriented, some say their network ties don’t include the sources of referrals that are so important in this arena, and others point to a lack of interest or a bias in the equity capital community. There are two new research studies shedding new light on this issue. The first, Venture Capital, Social Capital and the Funding of Women-led Businesses, published by the Small Business Administration’s Office of Advocacy, focuses on the venture capital industry, and finds that VC firms that network and invest together (thus sharing the risk) are more likely than those that go it alone to invest in women-led firms. Interestingly, firms that invest in women-led firms have a higher rate of return on their investment – which should show other firms that women-led firms may actually be a better investment or – at the very least – not as “risky” as they may presume. 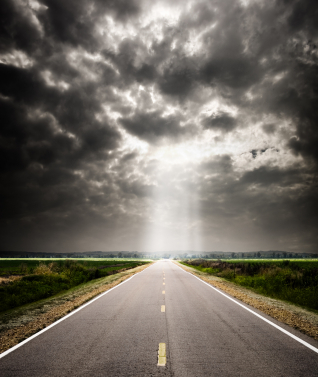 The second analysis, “The Angel Investor Market in 2012: A Moderating Recovery Continues,” comes from the Center for Venture Research at the University of New Hampshire. Their analysis shows that, overall, there was a decline in the number of active angel investors in 2012 compared to 2011, but the size of their investments increased, for a net increase of 1.2% in the number of firms receiving angel capital investments. The share of angel investors who are women has increased significant: from 12% to 22% over that same period. And, perhaps not coincidentally, the share of women entrepreneurs selling capital also increased – from 16% to 25% of the firms tracked. And, while the number of women seeking angel capital is still low, when they receive an angel capital investment they top the average yield for investors by 4%. Here’s a good piece on Forbes.com about the study, featuring some insights from your truly. Interestingly, angel capital is catching up may soon pass venture capital in their impact in the marketplace. In 2012, angel investments totaled $22.9 billion. A total of 268,160 investors made 67,030 deals. Conversely, while venture capital deals totaled $26.5 billion, that total was achieved by a much lower 3,698 deals. In addition, the value of VC investments declined 10% in 2012 from the previous years, and the number of deals dropped by 6%. Will the more patient and personal angel investor soon top the more “take no prisoners” MO of the VC investor? Time will tell; the inflection point may come soon. Another mano á mano form of equity investment is also gaining momentum. Crowdfunding is an avenue that more and more entrepreneurs are utilizing to raise outside capital – albeit at typically lower levels than angel or VC funding. And some say that this is an avenue that is becoming increasingly popular for women- and minority-owned firms. As for the women entrepreneurs themselves, there are two successful NGOs that are helping women seeking equity investment to make the connections and talk the talk that will get them the deal: Astia and Springboard. Check them out. And think that venture capital is only for single bottom line companies? Think again; there are many social capital investment firms. 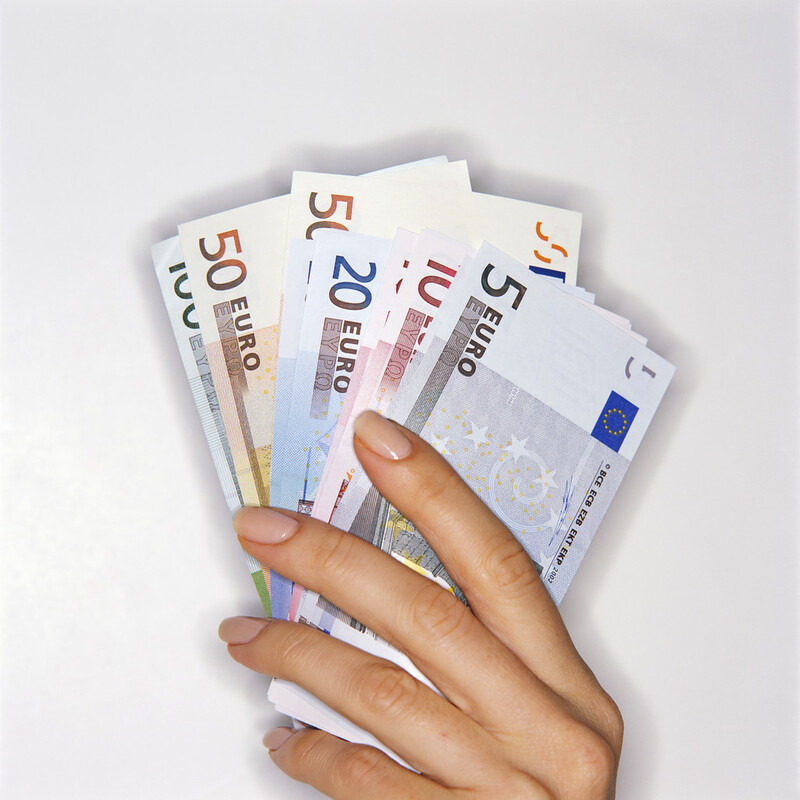 Here are some useful tips for seeking equity capital if you have a social enterprise. With the support of American Express OPEN, Womenable has reported on trends in the growth and development of women-owned enterprises, drawing upon detailed information from the U.S. Census Bureau, since 2011. In our inaugural report, The American Express OPEN State of Women-Owned Businesses Report: A Summary of Important Trends, 1997-2011, we provided up-to-date estimates on the number, employment and revenues of women-owned firms, and shared the insight that – despite above-average growth in the number of firms – women-owned businesses were not progressing up the business size continuum. Our 2012 report, The State of Women-Owned Businesses Report: A Summary of Important Trends, 1997-2012, again provided up-to-date estimates of the number and growth of women-owned firms, and took a more detailed look at the economic clout of women-owned firms regionally and within industry – finding that women-owned firms in two industries (construction and transportation) were standing toe-to-toe with their industry peers with respect to the share generating $500,000+ in revenues. With our most recent installment in the series, The 2013 State of Women-Owned Businesses Report: A Summary of Important Trends, 1997-2013, we again provide women business owners and their associations, supporters of women’s business development and other stakeholders with the most comprehensive review and analysis of the current health and well-being of women-owned firms in the United States – as well as in all 50 states and the 25 most populous metropolitan areas. Further, the report expands its focus this year to look at the phenomenal growth of firms owned by women of color. While firms owned by women of color are smaller than non-minority women-owned businesses both in terms of average employment and revenues, their growth in number and economic clout is generally far outpacing that of all women-owned firms. Indeed, the growth in the number of African American (up 258% from 1997 to 2013), Asian American (+156%), Latina (+180%), Native American/ Alaska Native (108%), and Native Hawaiian/Pacific Islander (+216%) women-owned firms all top the growth in the number of non-minority women-owned firms (+32%) over the past 16 years. You may download and read the complete 71-page report by visiting openforum.com/womensbusinessreport or clicking on the link above. You may also wish to download and read the news release for the report. 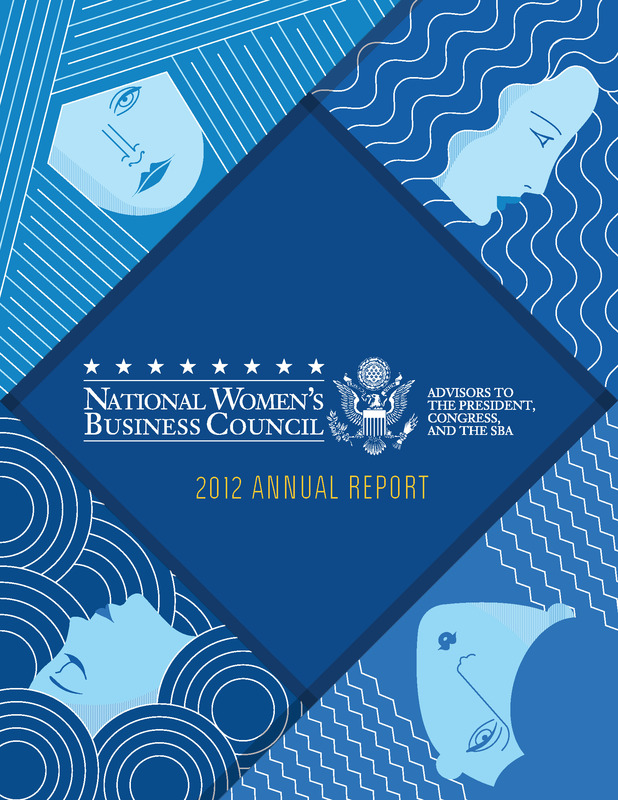 The annual report from the National Women’s Business Council was issued just before the end of the year, and not only contains an abundance of statistics but a succinct set of policy recommendations, in keeping with their mandate to represent the interests of women business owners and their enterprises in federal policy-making circles. Perhaps the most important text in the report, however, is the description of how the Council has changed its operating procedures to ensure greater continuity of operations, and their recommendations for more active engagement with respect to member nominations and closer monitoring of council member terms. Making these changes would prevent what has happened all too frequently over the past decade – the expiration of a majority of member terms at or near the same time, with a corresponding lag in re-nominations, leading to long periods of inactivity by the Council. This serves no one – not federal policymakers and certainly not the women’s business community. Improving this situation could be the best thing that the NWBC has done in a long time! To read and download the 2012 NWBC annual report, click on THIS LINK. Numbers go visual: There’s been quite an increase in the use of infographics to share data and research in a visual way. We’re proud that our 2012 report on The State of Women-Owned Businesses has been named by PR Week as a finalist in the ‘Best Use of Analytics’ category. The communications this year included a large social media campaign, including infographics. Here are some of Womenable’s favorite infographics, on a Pinterest board. Data portals: There’s been a great leap forward this year in the aggregation of research information on women’s economic empowerment. Most particularly, the World Bank this year launched a Gender Data Portal, which grants widespread access to a plethora of statistics, including the ability to compare countries and regions, as well as to look at trends in a number of measures over time. It’s nirvana for womenablers everywhere! The “Having It All” myth re-exposed: In late 2010, Facebook’s COO Sheryl Sandberg made a splash with a TEDWomen speech during which she essentially told women to “man up” (my paraphrasing) if they wanted to get ahead. The YouTube video of her remarks has gotten nearly 2 million views. (Not as many as Gangnam Style, but pretty high for something related to women’s empowerment!) An equally big, if not bigger, splash was made this year by Ann-Marie Slaughter, Princeton professor and former senior official in the U.S. State Department, in a July cover story in the Atlantic magazine, “Why Women Still Can’t Have It All,” exploring the family pressures that led to her departure from the federal government. It lit up the blogosphere, and certainly showed that, while women have made a lot of progress, it’s not been without sacrifice and there are a lot of heated opinions on the many facets of this issue. Making headway in high tech? : Speaking of Sheryl Sandberg, the topic of women in tech has a similar “push me-pull you” dialogue going on about how to get more women in STEM fields. Do they just need to toughen up and push ahead, or should existing paradigms be shifted to be more accepting to the differing leadership styles and professional goals of women in the field? Modeling the former modus operandi is new Yahoo CEO Marissa Meyer – who caused a kerfuffle when revealing her pregnancy shortly after taking the helm, but getting right back to business soon after giving birth. Taking a different tack is Harvey Mudd College president Maria Klawe, who has singlehandedly changed the environment – and increased the success – of female engineering and technology students on campus. So, too, new social networks such as Girls Who Code and Girl Geeks chart a different path by creating a collegial environment for women in a still very male-dominated field. It remains to be seen which approach will lead to greater success, but perhaps you can guess which side we come down on! Increased focus on access to markets: Last year, we pointed out that an increasing number of corporations are investing in the development of women’s business enterprises as suppliers – shifting their emphasis from “corporate social responsibility” to “value chain development.” International trade is an important element of market access, and a valuable link in this value chain is the International Trade Centre’s Access! initiative for women business owners in Africa, and their Global Platform for Action on Sourcing from Women Vendors – which included a trade exhibition and forum in Mexico City just last month. In addition, the 2nd quarter 2012 issue of their Trade Forum magazine, Empowering Women, Empowering Trade, focused entirely on access to trade issues for women-owned enterprises. Gender equality – continued Nordic dominance: For the past seven years, the World Economic Forum has released a Global Gender Gap Report. While some nations rise and fall in this global ranking of gender equality in the areas of health, education, political leadership and economic participation, one region has dominated the rankings since the beginning – the Nordic economies of Iceland, Norway, Finland and Sweden. Read more about the trends and download the current and previous reports at THIS LINK. Increasing the robustness of indices and lists: While the Global Gender Gap Report remains an important source of data on gender equality, its rankings are based on relatively few variables, none of which include business ownership or self-employment. There are now other players in the game, increasing the robustness of global rankings. First, the OECD has updated and expanded its Social Institutions and Gender Index (SIGI), which evaluates 100 economies on a number of measures that impact gender equality. The variables included in the rankings include existence of domestic violence legislation, women’s mobility and discriminatory inheritance practices – highlighting the sometimes hidden ways that inequality is perpetuated. Secondly, the Economist Intelligence Unit, author of the Women’s Economic Opportunity Index, is partnering with the Inter-American Development Bank’s Multilateral Investment Fund (IDB-MIF) to produce WEVentureScope, an analysis of environmental factors that make it easy – or more difficult – for women to start and grow businesses. This soon-to-come index will finally add women’s entrepreneurship into a country ranking equation – at least for Latin America and the Caribbean. Viva! Recognizing the contributions of unsung heroines: Most business awards and lists focus on economic impact – who generates the highest revenues, employs the most workers, or has grown the fastest in either or both of those areas over a period of time. The International Alliance for Women has done things a little differently, and we think that’s all to the good. For the past five years, their World of Difference Awards have focused on recognizing women entrepreneurs and entrepreneurial enablers who are making a difference to the triple bottom line – largely without fanfare. We need more of this, so we’re adding it to our Top Ten list to shine a light on this approach, and perhaps to plant a seed for others to follow! The ILO’s Women’s Entrepreneurship Development group (ILO-WED) is listing their 2012 top ten in ascending order on Facebook between now and the end of the year. Like their page to get in on the countdown. Did we miss any critical items? Think we’re off the mark on any of the above? Let us know! Curious to compare this list with our previous Top Ten lists? Click on the following links to read our Top Ten womenabling events of 2011, 2010, and 2009.